Looking for a Career in the Healthcare Industry? One of the most rewarding careers in today’s world is finding a profession in the healthcare industry because there are few things as rewarding as helping others. However, it can be tricky to find a good healthcare-related job. This is due to a lot of competition, limited facilities, and it can be harder if your experience is limited. This is where our referrals on nurse staffing in Indiana can help you. Through our services, we can help you find a job that provides better pay, flexible hours, and can help you obtain your dreams. The traditional way to find a job is to go to different places, grab an application, fill it out, turn it in, and wait for a phone call. This is effective for other kinds of industries, especially in trades where they are limited competition trying to get the same position as you. However, in the healthcare field, this can be a challenge. You will be competing with not only fresh healthcare professionals but also with individuals with years of experience. To help improve your odds, we offer superb and personalized healthcare staffing solutions in Fort Wayne, Indiana. We take out most of the legwork. All you would need to do is let us know what your skills are, your experience, and the kind of work you are looking for. We will then handle the rest and help you find a position that fits your needs and can help launch you into the career of your dreams. Going to different facilities and turning in your application can be a draining, exhausting, stressful, and even depressing experience. Even if you are highly experienced and talented, you will be turned down time and time again. This can be discouraging and it can cause you to give up. However, you do not have to face these issues through our services. Through our connections, we can help pair you with an open position. It may not be what you were looking for but it will be a stepping stone towards your dream job. Those are just a couple of ways our healthcare staffing services can help you. When you are looking for work, we can connect you to many different facilities all over the country in most major cities. 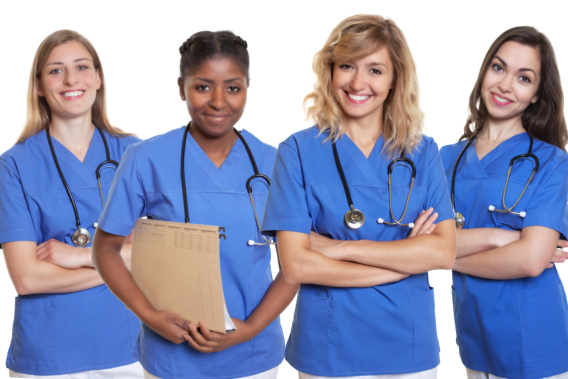 If you would like to find out more about our healthcare staffing solutions, please feel free to get in touch with Pace Medical Staffing, Inc. for more information anytime. This entry was posted in Healthcare Industry and tagged Healthcare, Healthcare Professionals, nurse staffing. Bookmark the permalink.